Lisa Spann cut her musical teeth in school and church choir. 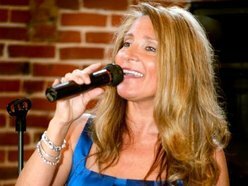 A proud native Louisiana Artist, she is a versatile singer who is able to sing selections of music from many genres of music, from jazz, blues, rock, country, pop, to the classics. A big honor for her was singing with Louisiana Legend Doug Duffey, at the 2003 New Orleans Jazz Fest and on several of his recordings. She has also worked with another Louisiana Legend, GG Shinny’s. Other performances with Rod Allen Payne, The Buddy Terzia Band and the Louisiana Legacy Orchestra, have also added to her list of accomplishments. She has formed her own group, Lisa Spann and Company, and regularly performs at Landry’s Vineyard. Announcing Auditions for Mamma Mia!